According to Premier Guitar, all pedals (except Ludwig and Billy Zoom) are powered on Mike McCready's pedalboard by a MXR/CAE MC-403 Power Distributor. 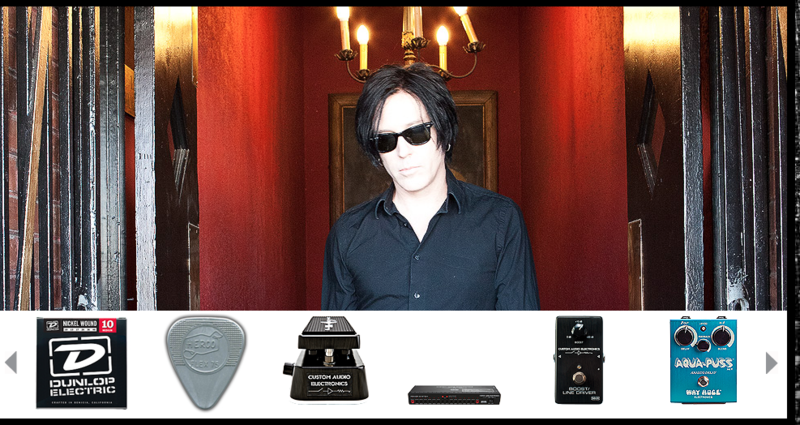 Among the gear of Troy Van Leeuwen, listed on [Dunlop's website](http://www.jimdunlop.com/artist/troy-van-leeuwen), is an MXR Custom Audio Electronics MC-403 Power Distributor. Seen at 16:21 of this "Rig Rundown" is a MXR Custom Audio Electronics MC-403 Power Distributor. 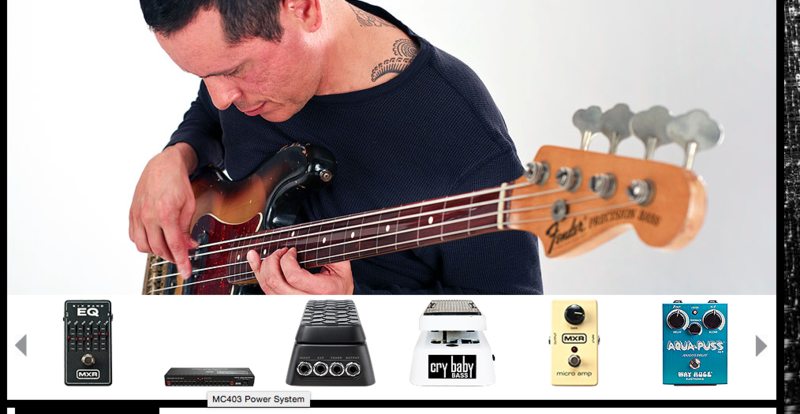 Juan Alderete's gear, according to [this page](http://www.jimdunlop.com/artist/juan-alderete) of Dunlop's website, includes an MXR MC-403 Power Distributor. According to Strymon's pedalboard feature, Lukather uses the MXR MC-403 power distributor. 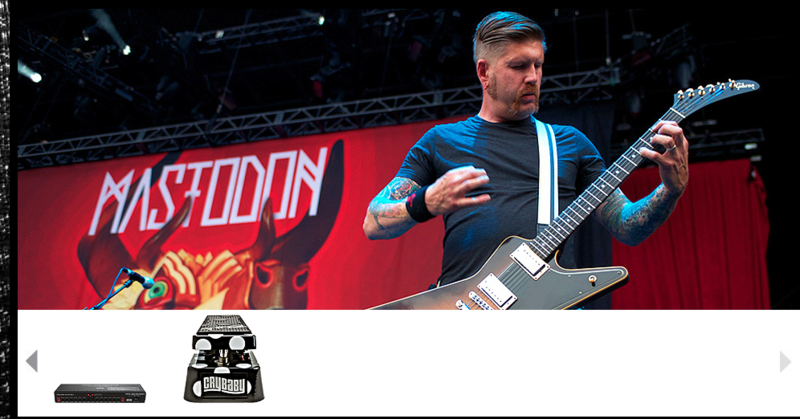 Bill uses an MXR MC-403 power distributor, according to [Dunlop's website](http://www.jimdunlop.com/artist/bill-kelliher-mastodon). Both Joe and [Gwil](http://equipboard.com/pros/gwil-sainsbury/mxr-custom-audio-electronics-mc-403-power-distributor) use this power supply. [Source](http://www.roland.co.uk/blog/alt-j-interview/). In this picture of Gwil's pedalboard you can just about see the MXR MC 403. A MXR Custom Audio Electronics MC-403 Power Distributor can be seen on Billy's pedalboard, at 4:30 in this video. Displayed at 7:38 of this Rig Rundown for Larry "Ler" LaLonde of [Primus](http://equipboard.com/band/primus), is a MXR Custom Audio Electronics MC-403 Power Distributor. A detailed [gear diagram](http://www.guitargeek.com/stephen-carpenter-deftones-guitar-rig-and-gear-setup-2011/) for Stephen Carpenter of [Deftones](http://equipboard.com/band/deftones), traces the signal flow of the equipment, containing an MXR Custom Audio Electronics MC-403 Power Distributor, in his 2011 guitar rig. The CAE MC-403 can be seen at 10:50 in this Premier Guitar Rig Rundown with Kerry King. At 17:54 minute mark, the CAE MC-403 is seen as power distributor in Holmstrom's board. This item is actually a portion of Tad's CAE signal switching system, originally misidentified as a power supply. Andrew's pedalboard is powered by the MXR Custom Audio Electronics MC-403 Power Distributor. This image comes from Nice Rack Canada's official artist page on his custom built pedalboard. [Source](http://nicerackcanada.com/california-breed-andrew-watt/). One can see a MXR MC-403 at 17:00 in this rig rundown video. According to [Premier Guitar](http://www.premierguitar.com/articles/22482-rig-rundown-halestorm), Joe Hottinger uses a Custom Audio Electronics Power System. Can be seen at 16:05. According to Guitar Geek's rig diagram, Wade uses the MXR MC-403 power distributor pedal. No reviews or videos yet for MXR Custom Audio Electronics MC-403 Power Distributor. With an Equipboard account you can rate this item, add it to your collection, submit a review to discuss what you like and dislike about it, and associate MXR Custom Audio Electronics MC-403 Power Distributor to artists that use it. Create an account!